This Comfortable and Spacious Home Near Mt. Vernon Is Waiting For You To Move In! This well-kept home on a beautiful cul de sac is located in Riverside Estates The home has been updated with refinished hardwoods, fresh paint, a new roof, new carpet and a newly paved driveway. Park your car in the carport and come inside to relax in the family room with gas fireplace, or in the formal living room with the beautiful bay window. The modern kitchen features a new ceramic tile floor and sleek white cabinets over granite countertops. The private back yard features lush landscaping and backs to peaceful woods. basement with large family room, enormous unfinished storage area, and fabulous laundry room with built in storage shelves. 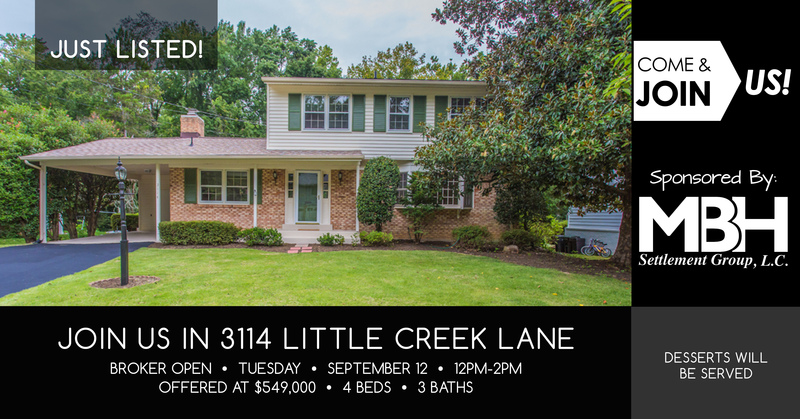 Just a mile from George Washington’s Mount Vernon Estate, this home offers convenient access to the GW Parkway, Fort Belvoir, and Highway 1 South/North. FIRST DONATION DONE, MORE TO GO!